AT&T deployed 850MHz Service in New York Metro Area toda, is your service better ? “AT&T’s ongoing investment to build broadband networks helps to create jobs, fuel economic growth and enable our customers to quickly access the content that matters most to them,” said Jay Summerson, vice president New York, AT&T external affairs. “Our customers have embraced smartphones and upgrades like the additional 3G spectrum deployment allow them to enjoy the benefits of these devices and mobile broadband for years to come. The 850 MHz spectrum was deployed for 3G use at more than 1,600 cell sites in metro New York, Long Island and New Jersey. It is considered a high-quality spectrum, which generally results in better in-building coverage. While specific benefits of the additional 3G spectrum will vary by location, AT&T 3G customers should see improved quality and coverage throughout New York City, Long Island and New Jersey where 850 MHz spectrum has been deployed. AT&T technicians nationwide responsible for monitoring network performance for service quality and coverage have seen significant increases in total 3G data traffic in areas where the 850MHz spectrum has been deployed. This deployment is one part of AT&T’s ongoing initiatives to enhance the speed and performance of its network. Recently, AT&T announced plans to further upgrade its 3G network nationwide with HSPA 7.2 technology to deliver considerably faster mobile broadband speeds. The upgrades are planned to begin in the fourth quarter, with completion expected in 2011. Additionally, AT&T is continually optimizing and adding cell sites in New York, New Jersey and across the country to maximize performance for customers. AT&T is planning to add nearly 1,900 cell sites nationwide this year, and we’re adding new backhaul connections across the country to support the increasing volumes of mobile data traffic. AT&T’s 3G mobile broadband network is based on the 3rd Generation Partnership Project (3GPP) family of technologies that includes GSM and UMTS, the most open and widely used wireless network platforms in the world. 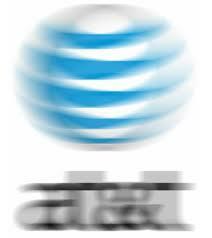 AT&T offers 3G data roaming in more than 100 countries, as well as voice calling in more than 215 countries. Across the U.S., AT&T’s 3G network is available in more than 350 major metropolitan areas. For more information about AT&T’s 3G coverage in metro NY or anywhere in the United States, consumers can go to http://www.wireless.att.com/coverageviewer/. The online tool can measure the quality of coverage based on a street address, intersection, ZIP code or even a landmark. Congradulation GeoHot and thanks for all your hard work!!!!!! iphone 3g bag on ebay…..
World’s 1st Jailbroken 3G Phone from iphonedev. Should of stayed in line, could of had an iPhone….No Luck yesterday ATT store ran out and Apple stores had lines for hours…. Well there is always today.